Spar Star MMA Rocks Los Angeles | MMA Fighting Events Videos Techniques UFC Fight Picks and News. This fight started off fast and furious. It looked like an all out ballroom brawl early. Late in the first round, Gomez landed some solid punches that almost put Hebl away. In the second round Gomez continued with the momentum, took Hebl down and finished him with ground and pound. Results: Gomez wins via TKO in the second round. This fight went back and forth for three rounds. Unfortunately for Camarena, Nielsen did a good job of staying outside of his reach and countering successfully. Ultimately, Nielson got the better of the stand up, landing more in each of the rounds. Results: Nielson wins via unanimous decision. Cash came out aggressive attempting a double leg takedown. Matsuda strongly fought off the attempt, but Cash was relentless and continued with the attempt. Matsuda capitalized on Cash leaving his neck open, slapped on a guillotine, and finished it standing. Results: Matsuda wins via guillotine choke submission in the first round. Fernandez comes out quickly and floors Ayon with a punch. Fernandez then jumps on Ayon. Under the pressure, Ayon makes a mistake leaving his arm out which allows Fernandez to set up an armbar. Results: Fernandez wins via armbar submission in the first round. Shabo comes out aggressively throwing all kinds of kicks and punches but none of the really land. James calmly waits for an opening and then lands a solid punch. Shabo goes in for a takedown attempt but leaves his neck exposed. James wraps up a standing guillotine choke submission and finishes the fight. These two fighters went at it for three rounds. Khachatryan scored a solid judo type takedown in the first and held the position. In round two, Khachatryan again was able to land a takedown and attempted some armbar submissions. Bethley defended well and was able to land a couple of punches with a few seconds left in the round. The action slowed down in the third as Bethley couldn't seem to turn the momentum around and Khachatryan put it in cruise control. Nickelson came out aggressively and pushed the action. Johnson was able to get the fight to the ground late in the first but didn't do much damage from there. Mid second round Nickelson attempted two spinning backlists in a row that missed and opened up and opportunity for Johnson to wrap him up. Johnson was able to score some punches from there. In round three, these fighters traded on their feet for most of the round until Nickelson scored a takedown with about ten seconds left. Results: Nickelson wins via unanimous decision. Moran came out quickly landing punches but Bettis was able to charge in force the fight up against the fence in a clinch. Moran attempted a guillotine but then broke off and chose to trade more punches. Bettis seemed to have an eye injury and the doc came in to take a look. Results: Moran wins via TKO (doctor stoppage). After exchanging some crisp stand up, these ladies engaged in a grueling clinch battle for most of the first round. Round two started off with more crisp striking and then they ended up in a clinch at the fence. Noonan locked up an arm in guillotine standing. Hancock seemed to be having trouble getting out and the ref controversially stopped the fight. At least one spectator said that Hancock looked like she went limp, while others didn't feel the fight should have been stopped since there was no tap. Results: Noonan wins via guillotine choke submission. Another quick start in this fight with chingasos being fired off by both fighters. Lopez scores a takedown about mid round and then works his ground game. In round two Lopez keeps Olson at bay with nice leg kicks followed up by a takedown. In Round three Lopez scores a takedown, mounts and late in the round ground and pounds his way to victory. Results: Lopez wins via TKO in the third round. Secaida gets the fight started with accurate, crisp striking while Gonzalez fires off power punches that have trouble landing. In round two Gonzalez looks for openings but Secaida finds his first, and lands a solid kick and a punch that sends Gonzalez to the mat. The ref quickly jumps in and stops the fight. Results: Secaida wins via TKO in the second round. Diaz comes out aggressively with punches and then a takedown. Cagle holds on to Diaz but has trouble keeping Diaz off of him. Diaz mounts, breaks Cagle's grip, and then rains down some ground and pound that finishes the fight. Results: Diaz wins via TKO in the first round. This fight was for the Spar Star bantamweight belt and these two fighters went after it for three rounds. Gomez lands a good punch early that causes Ramirez to go down and into a double leg attempt. Gomez fights if off and Ramirez is forced to pull guard and survives most of the round there. In round 2 they trade technical stand up back and forth. Gomez seems to find more of the openings and scores with punches. In round three, Gomez continues to build on his momentum and dominates the stand up for most of the round. Results: Gomez wins via unanimous decision. This MMA event put on by Spar Star Promotions was not just another solid event, Tony Padilla, CEO of Spar Star Promotions, truly outdid himself with the production and entertainment value. It was a pleasure to be in attendance, and to witness first time fans enjoy themselves at a live MMA event. 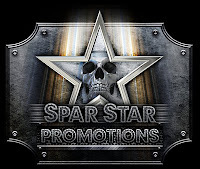 Spart Star Promotions went above and beyond in showcasing MMA (Mixed Martial Arts) competition to fans in the Los Angeles area. 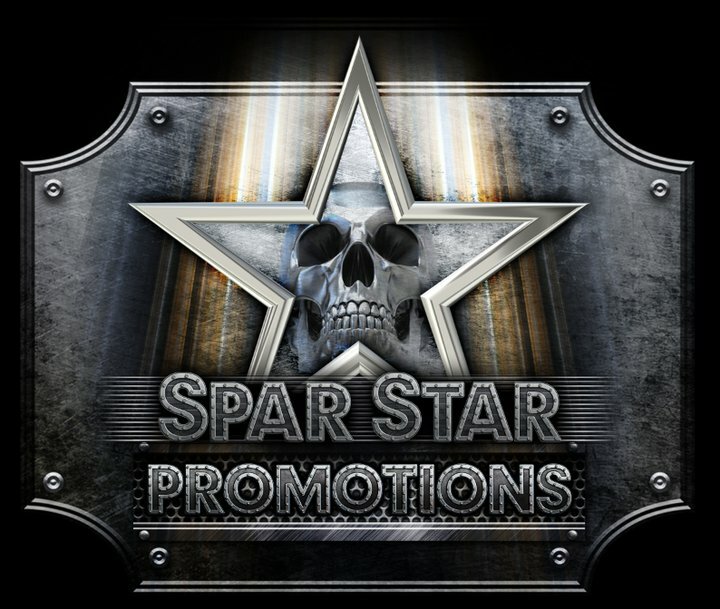 If you missed this MMA event, stay tuned, as Spar Star Promotions has another event planned for April 27th.